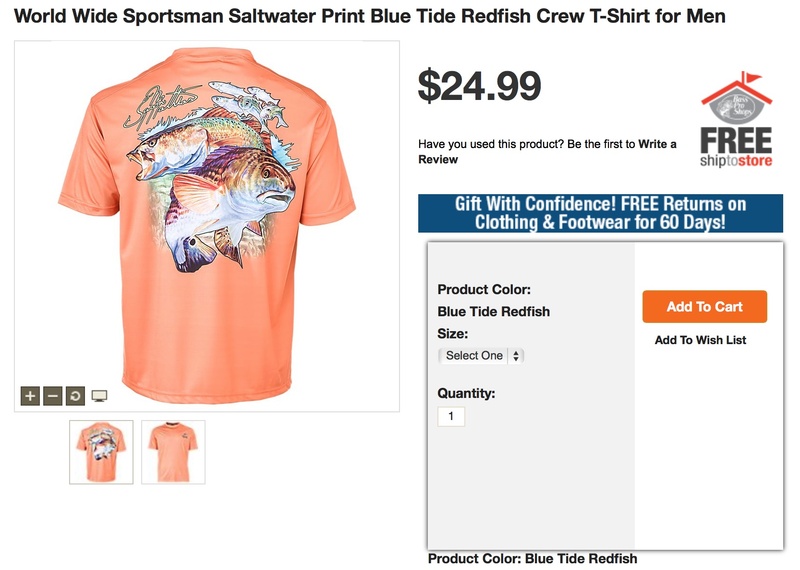 Our World Wide Sportsman Saltwater Jason Mathias Apparel Crew T-Shirt is ideal for offshore fishing, but it's comfortable enough to wear just about anywhere. 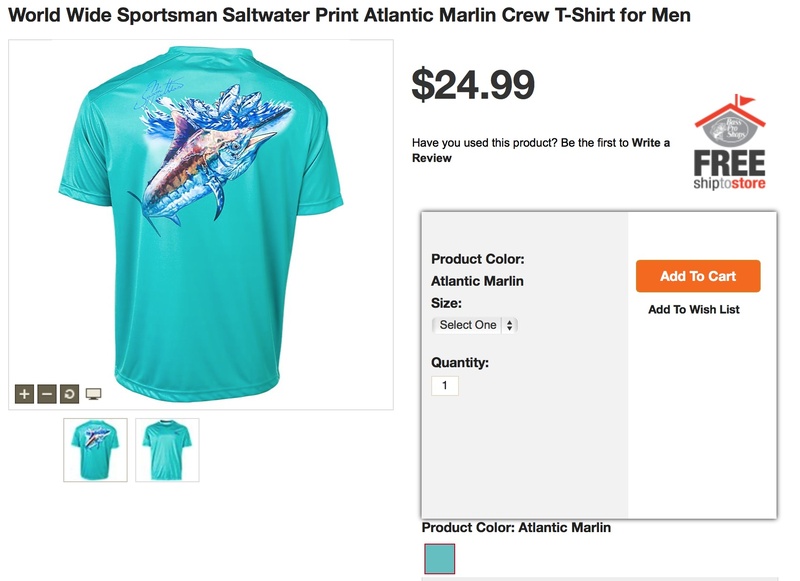 This short-sleeve tee is highlighted by a special full-back sublimation print from renowned marine artist Jason Mathias featuring a double dose of the distinctive dolphin fish. 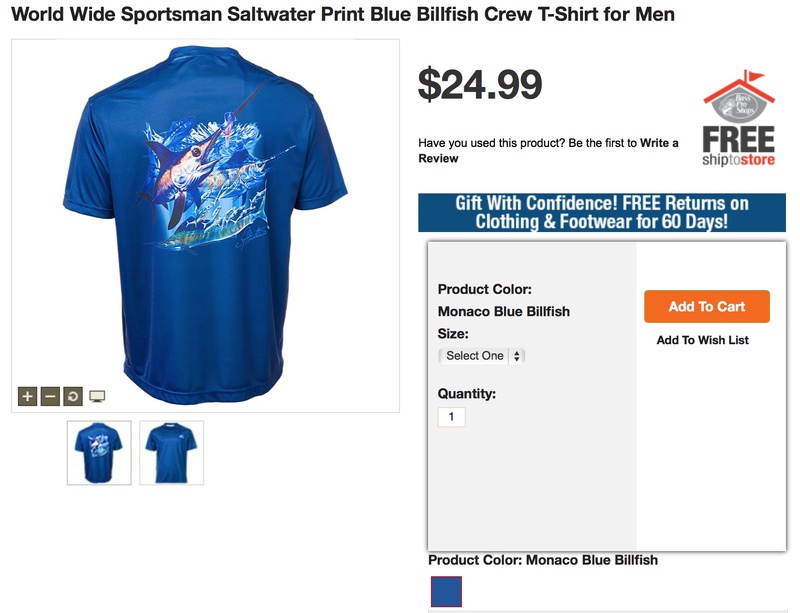 Super-soft 100% polyester transfers moisture from the inside of the shirt to the outside, where it can evaporate quickly to help keep you cool. We built this lightweight tee with 2 seams on the shoulders to make casting and other movements easier. 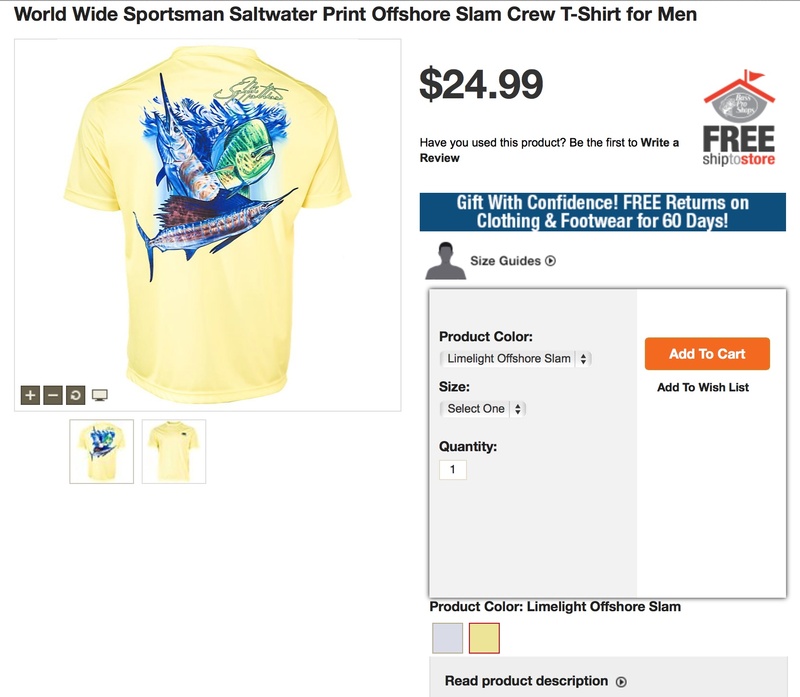 Our World Wide Sportsman Saltwater Crew T-Shirt is finished with a WWS logo on the left chest. Machine wash. Imported. Jason Mathias is a native Floridian, and as a child his favorite pastimes were drawing and fishing. Today, he mixes his talent for art and his passion for the oceans to create amazingly detailed artwork featuring marine wildlife. Compositions in oil, acrylics, and watercolors showcase not only his love for the sea, but also his remarkable ability to render the underwater world and its inhabitants in superb detail. 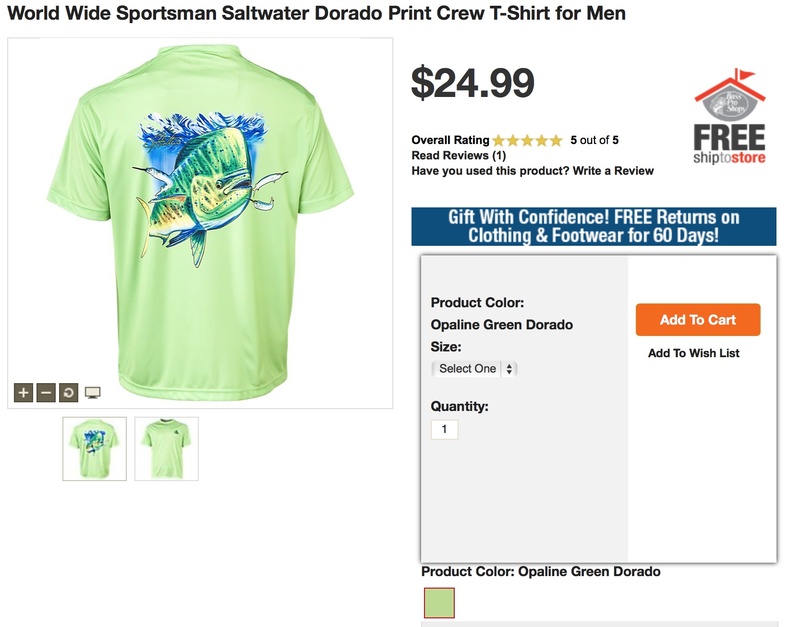 Bass Pro Shops® is proud to feature Jason's remarkable artwork on these World Wide Sportsman designs. 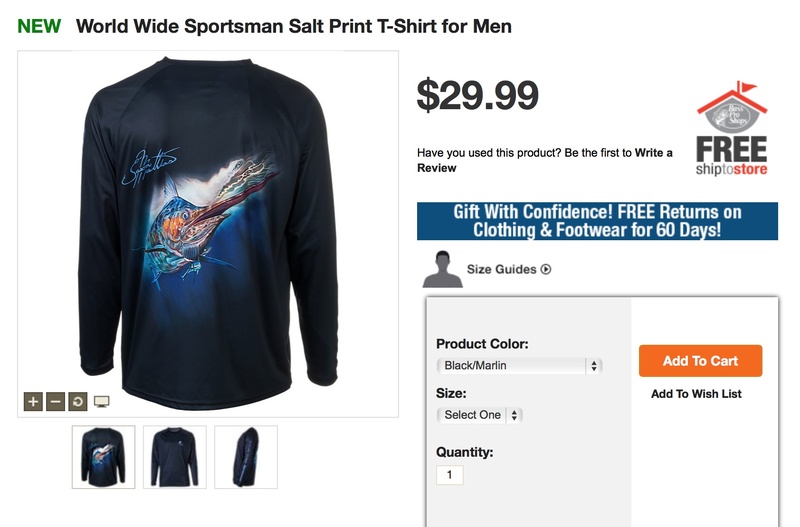 Above: Jason Mathias World Wide Sportsman shirts in a Bass Pro Shops near you. Above: Jason Mathias with Bass Pro Shops apparel manager.